Along with broccoli, asparagus might be one of the vegetables your mother told you to eat. What is asparagus? And for those unfamiliar with this vegetable, how does it look like? How can eating it help you physically? 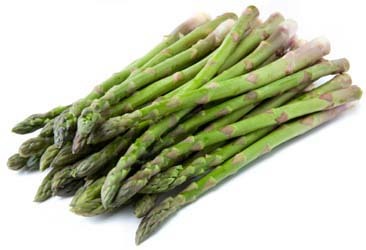 Asparagus is a member of the Lily Family that has been cultivated since time immemorial. The plant’s immature shoots which look like a spear (thus, called asparagus spear) has been depicted in hieroglyphs in ancient Egypt. Officially called “asparagus officinalis”, it is found in the wild all over the world but is known to have originated from Central Europe. When cultivated in ideal conditions, this spear-like vegetable can grow really fast—as fast as 10 inches in just 24 hours! However, harvest is done only three years after the crowns have been planted. This is to ensure that the plant develops a strong root system. The long wait is going to be repaid though with 15 years of continuous production even without being replanted. What can asparagus do for you? Aside from rewarding you with its succulent taste and texture, the asparagus is powerhouse of many nutrients that are good your health. It has significant amounts of Vitamins A, B, C and E, folic acid, potassium, fibre, thiamine among others. It also has “asparagines”, a nutrient that helps stimulate the kidneys and purifies the blood making asparagus a natural diuretic. To benefit from this nutrient, it is best to ingest the vegetable raw so as not to destroy the nutrient in the cooking process. Believed to be an aphrodisiac in Greece, the asparagus is also low in sodium and has no fat or cholesterol.